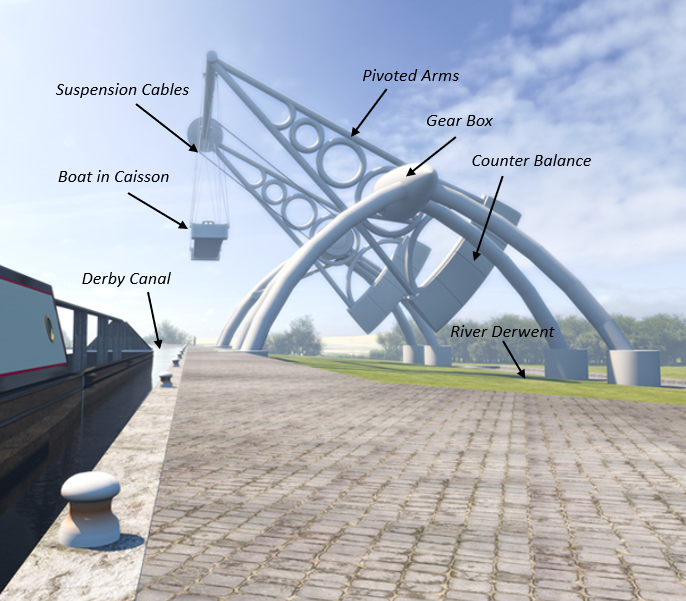 The Derby Arm concept is a 30m high electro-mechanical structure that would lift canal boats out of the restored Derby Canal and place them into the river Derwent (and vice versa), allowing boats on the UK canal network to travel in to the very centre of Derby, up to the Silk Mill. 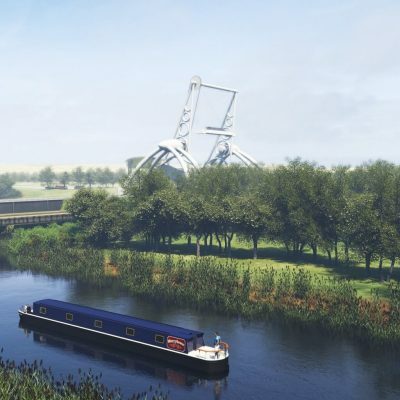 This would reproduce the success that many other UK cities have experienced by restoring their urban waterways. The Derby Arm would become one of only three big canal boat lifts in the UK but would also be unique in design. 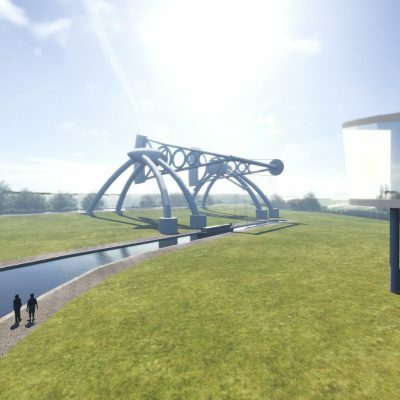 It presents a very exciting business opportunity for a private investor. 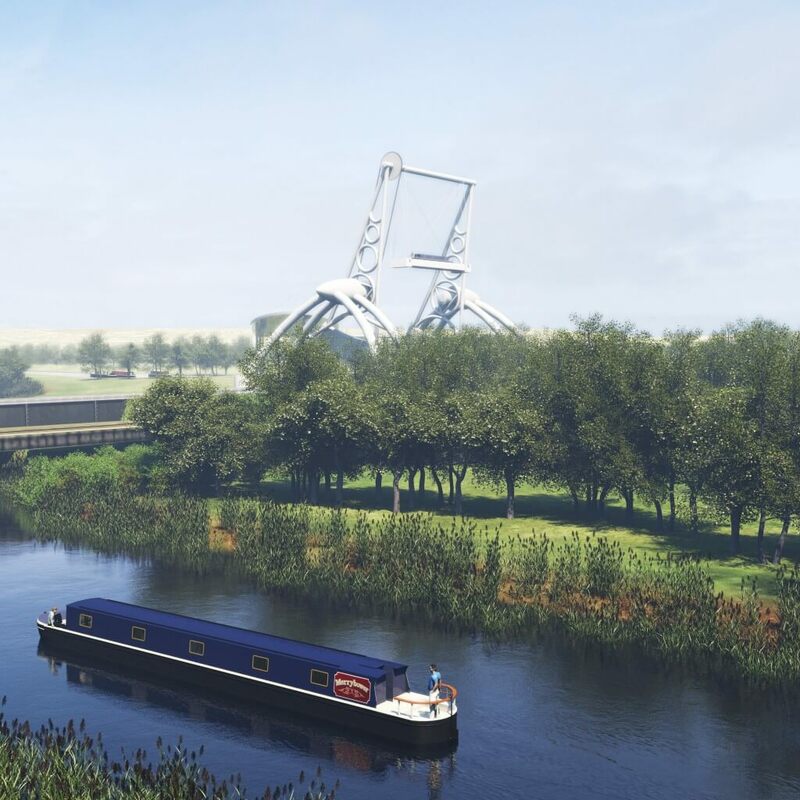 There are many similarities with the Falkirk Wheel in Scotland which now attracts over 650,000 paying visitors a year as well as operating as exclusive hireable venue. 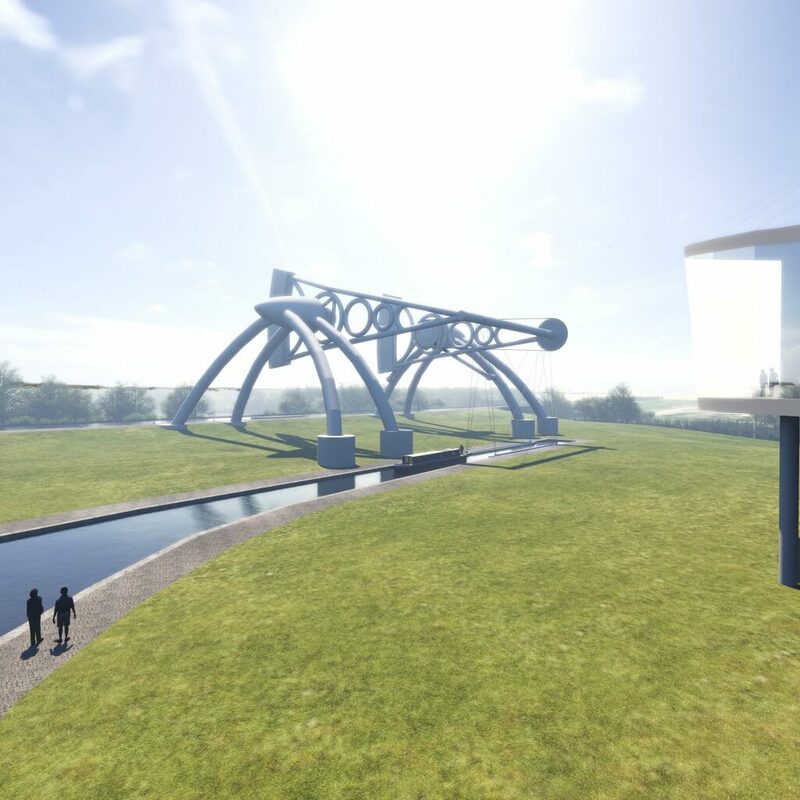 Given the success of the Falkirk Wheel it is likely that the Derby Arm would become not only a regional landmark but also an international tourist attraction and something that Derby could be very proud of as a statement of the city’s pioneering heritage in innovative engineering. We have support from a number of local businesses and public leaders, please see our Words of Support page to read them. 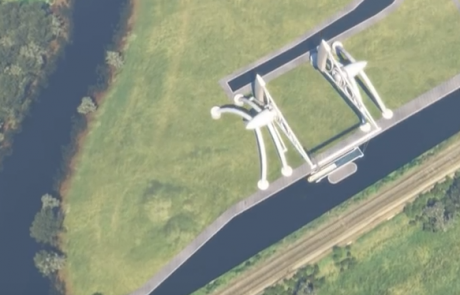 Note: A team of 12 Rolls-Royce graduates and trainees are part-way through a project to create a working scale model of the Derby Arm Boat Lift, click this link to the Progress so far page. 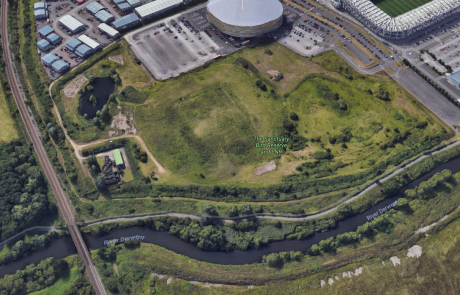 The proposed Derby Arm site would be located very close to Pride Park on the riverside edge of the “Derby Triangle” and would include an architecturally impressive visitor’s centre as well as waterside bars and luxury restaurants overlooking the boat lift. 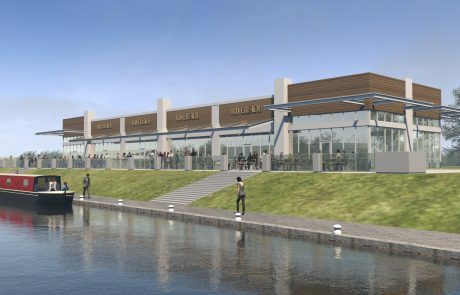 The setting for the restaurants and bars along the riverside would be truly unique and unlike any other venue in the UK, presenting yet more private investors with exciting new opportunities to be part of something very different and very rewarding. The introduction of the Derby Arm and the adjacent waterfront would fit perfectly into surrounding physical and economic landscape. 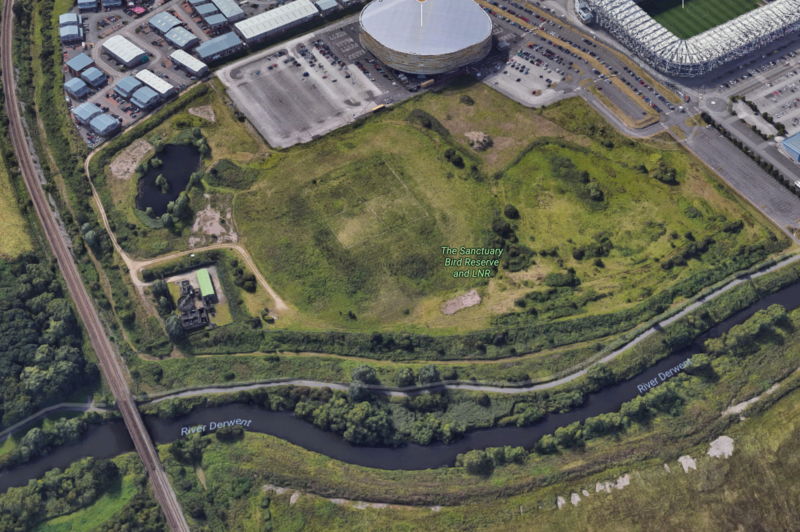 A new footbridge would allow visitors and tourists to move about freely between Derby Arena, the Derby County Stadium, the new waterside venues and the Derby Arm and Visitors Centre. 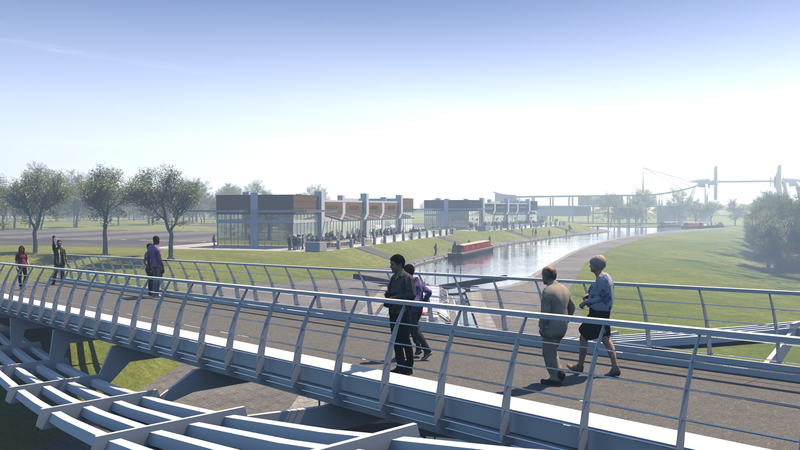 In addition, the project would increase the connectivity of this area with the city centre for pedestrians and cyclists and could even include provision for an electric passenger ferry service / park and ride. Can you see yourself being part of this brilliant new opportunity? Watch the Water Adds Value video to see how waterway restoration has been proven to work to bring large economic benefits. 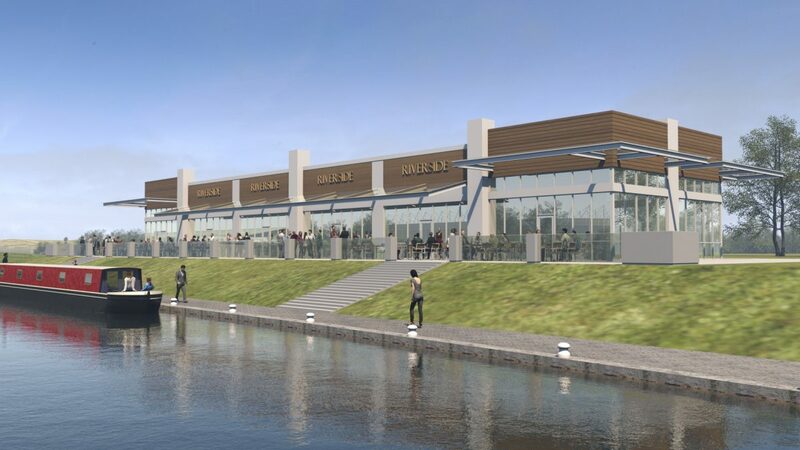 Contact us if you want to find out more about the investment opportunities at the Derby Arm Boat Lift.